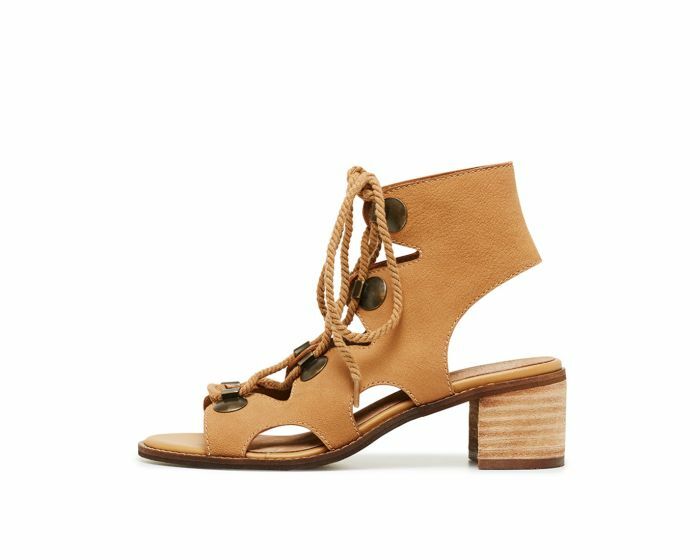 Caspy is an utterly unique, gorgeous women's sandal that's guaranteed to become your new wardrobe essential. 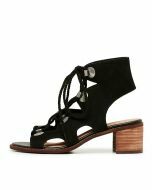 The classic dress sandal silhouette includes a towering block heel for leg-lengthening elegance and a high top collar. The napped leather upper is durable and stylish, and is adorned with an oh-so-on trend cut out design with thick rope laces. Chic, comfortable and seasonal, Caspy will be the finishing touch to your next wow-factor outfit.